These earrings are designed using lovely puffed rectangles of bright blue turquoise, embellished with a few daisy beads, and colorful man-made calsilica beads. Neatly wire wrapped onto .925 sterling silver french hooks. Great southwestern look to these. You will enjoy this pair for years to come! Other earwires are available for these - please inquire. 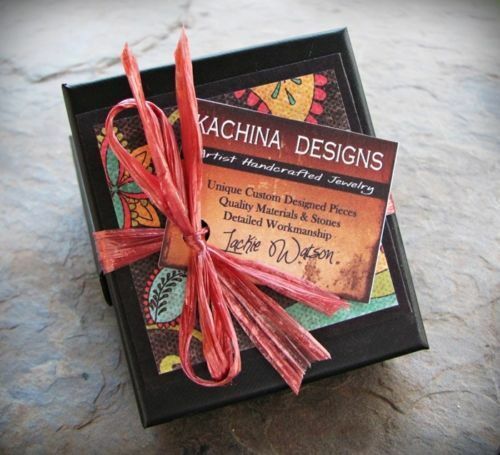 These would make a fabulous gift for someone who loves southwestern pieces! ● Earwire Details - .925 Stamped Sterling silver classic french hooks.